Our signature Executive Room comes with everything you expect from its name. 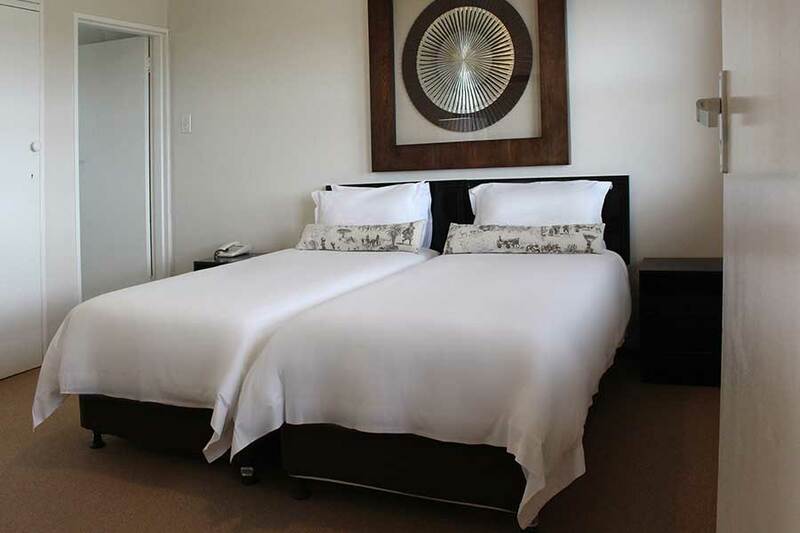 Whether you are attending a conference or just on a leisure holiday, this deluxe bedroom suite will rejuvenate your mind, body and soul. 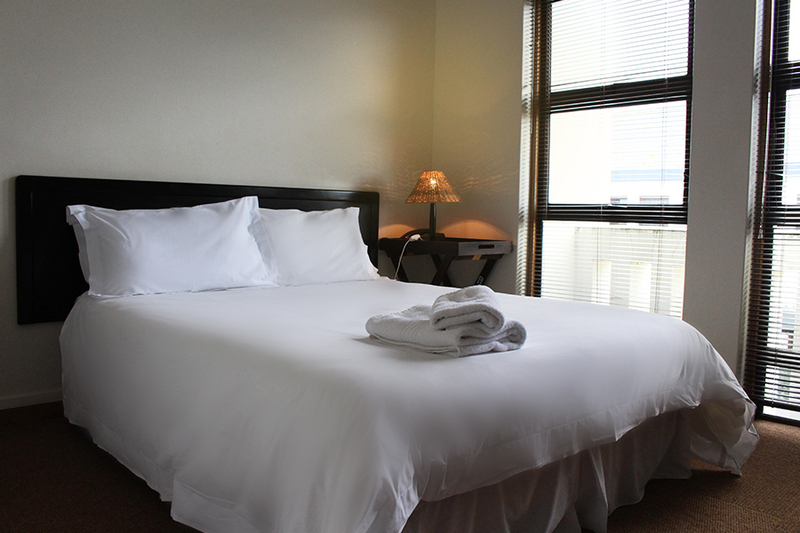 The room is equipped with a king size bed, executive chairs, air conditioning, satellite television (DSTV). If you’re looking for a bit more luxury, then this apartment style unit is just for you. It comfortably sleeps up to four with two ensuite bedrooms (one double and one twin). The unit has a large lounge area equipped with leather couch, bar fridge, tea and coffee making facilities and satellite television (DSTV). 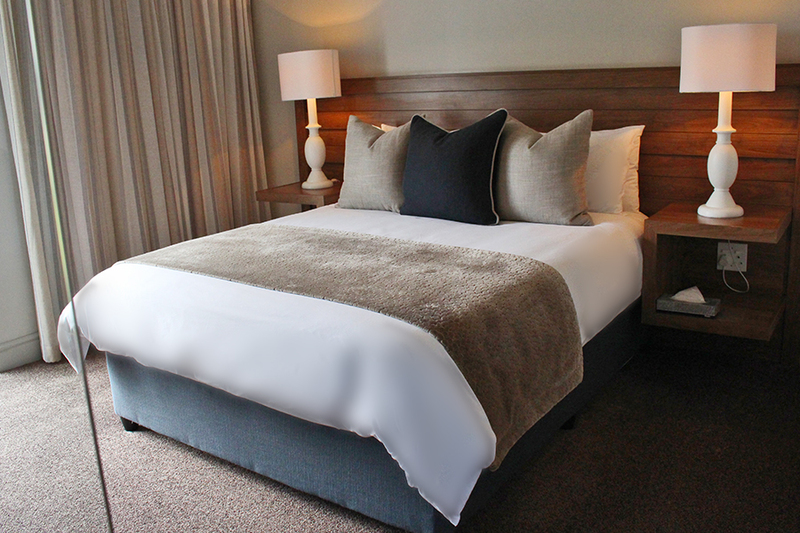 This apartment style units comfortably sleeps up to four people with a cosy king size bed (double bedroom) and two single bedrooms. Perfectly priced for a family of four or the single traveller, the Standard room boasts cosy beds and spacious wardrobes.